ALERT! Santa Alien Popcorn Bucket Has Been Spotted in Disney’s Hollywood Studios! Y’all THIS IS NOT A DRILL. 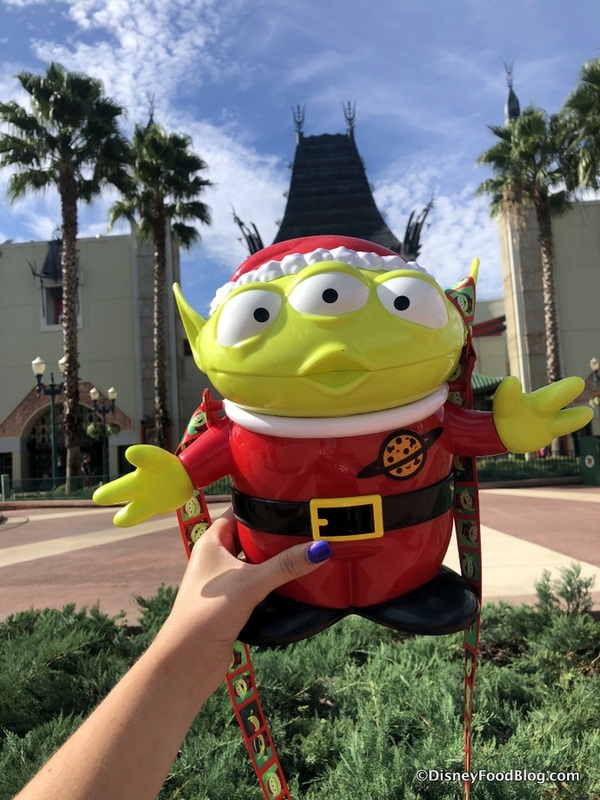 We found the best holiday popcorn bucket of the season so far over in Disney’s Hollywood Studios for Flurry of Fun — A Santa Alien Bucket! Yes, that’s right, he’s the cutest. EVER. You’ll find him at select popcorn stands around Hollywood Studios this season, but be quick. 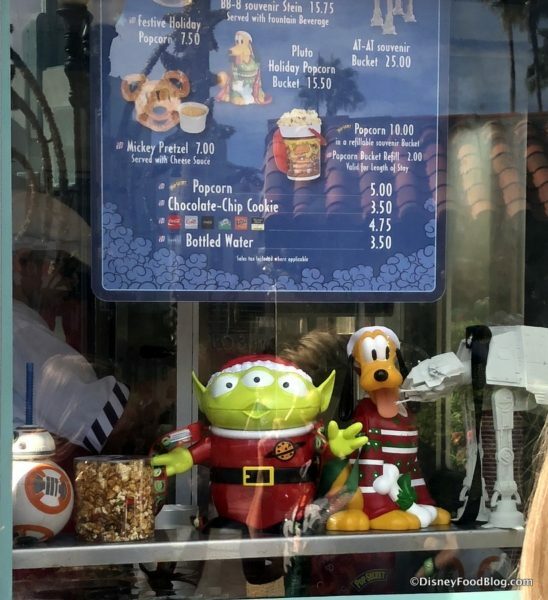 It’s our guess that he’ll be selling out on the regular, knowing how popular the Alien popcorn buckets were when Toy Story Land first opened. 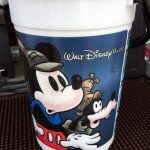 Buckets are $25 each, and are currently limited to two per person. 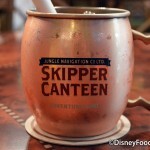 Check out more Hollywood Studios Flurry of Fun NEWS, FOOD, and MORE by clicking right here! 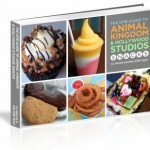 Don’t Miss Out on Any Disney World Fun This Holiday Season! The DFB Guide to the Walt Disney World® Holidays 2018 is a one-of-a-kind resource that will help you get the most out of your holiday vacation at Walt Disney World. 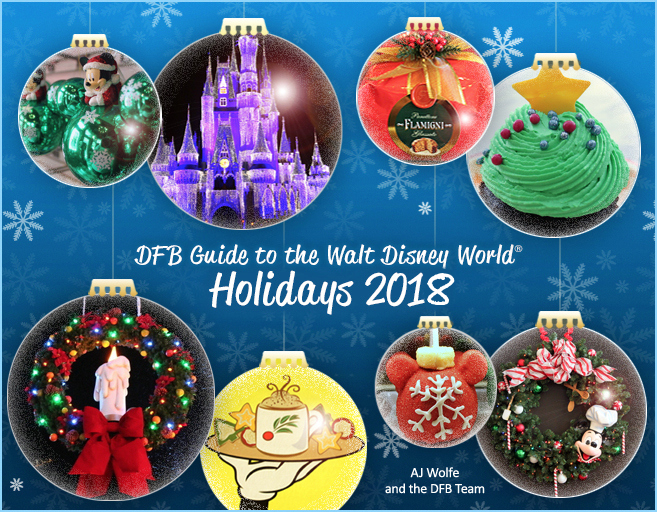 Order The DFB Guide to the Walt Disney World® Holidays 2018 now! ALL of the events, activities, and holiday additions in Walt Disney World. ALL. OF. THEM. Order your 2018 Guide now and get 20% off with code PEPPERMINT! As always, our e-Books are 100% guaranteed! If you don’t love it, you get your money back! 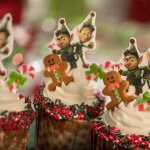 « NEWS: First Look at Hollywood Studios’ Flurry of Fun FOOD and MORE! So adorable! I would definitely use this as a cookie jar. Hi DFB gang! Thanks for all the great food finds you make sure I don’t miss! 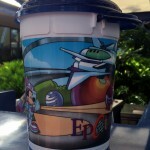 I’m so envious that you got this awesome popcorn bucket! I think it might even be cuter than the regular alien. I was at HS 2 days after Toy Story Land opened, and raced to get one, sadly finding out they were long gone! They sold out within hours on opening day, and won’t be back until next year:(. My best friend spotted someone with one, and offered to go try and buy it off of them-LOL! It was a super sweet gesture, but a waste of money, so I said “no”. I got lucky with the Halloween cup at Pop Century. Three days into my trip I happened to be getting some food, as they were restocking them! 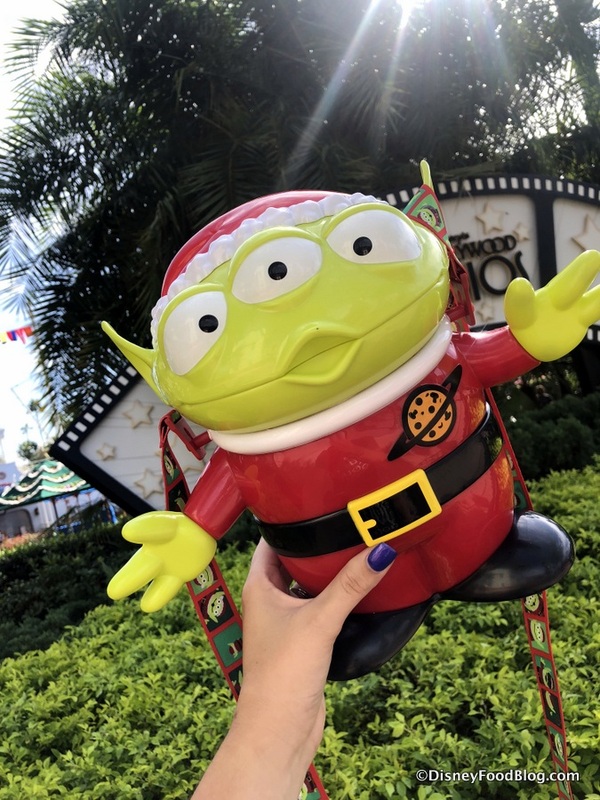 Fingers crossed, I’ll have the same luck with the Alien Santa bucket!! !